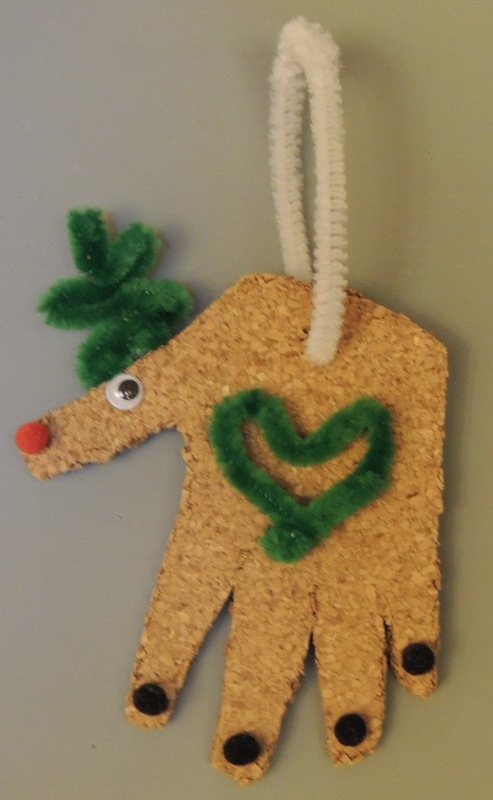 Child Care Basics Resource Blog: Reindeer Ornament. Trace children’s hands on cork pads, cardboard, or brown construction paper. Have them cut out their hand outlines, offering assistance if needed. Make a small hole at the base of their hand cut out for a pipe cleaner or piece of ribbon to hang their ornament. Provide Pom Poms, eyes, buttons, and pipe cleaners . Allow the children to glue items on their hand to make a reindeer ornament.